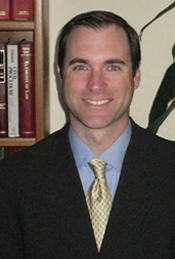 Todd C. Atkins is Of Counsel at the Bodell Law Group LLP. His litigation practice encompasses a wide range of areas. Todd C. Atkins is Of Counsel at the Bodell Law Group LLP. His litigation practice encompasses a wide range of areas but is focused on business litigation, real estate, employment, personal injury and securities matters – representing both brokers and plaintiffs. Todd has represented clients at all phases of litigation from inception through appeal and has argued in front of numerous Courts of Appeal as well as the California Supreme Court. Todd is also a trained mediator, and received his certification from the National Conflict Resolution Center. Todd pursued his undergraduate studies at the University of Virginia before obtaining his law degree at the University of San Diego, School of Law. He is admitted to practice before all state and federal courts in California, and is also a licensed real estate broker.